French Tile Taupe by American Traditions. French Tile Taupe is a classic solid color with detailed machine stitching. This classic coordinate can be used in any room of the house and can go with a wide range of colros and styles. 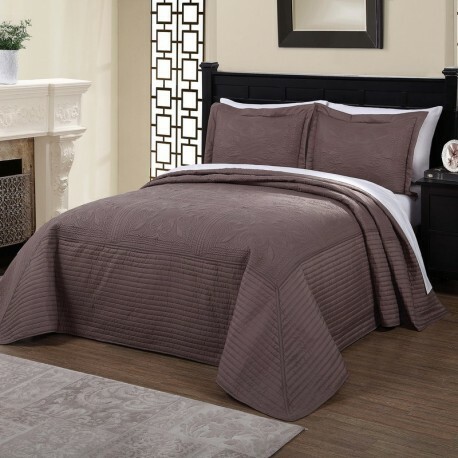 French Tile Taupe is a classic solid color detailed machine stitch bedspread pattern. This classic coordinate can be used in any room of the house. This quilt is a microfiber face material with a cotton filling.